I get a lot of questions about when to prune rose bushes. Of course, it depends on where you live and the type of rose. 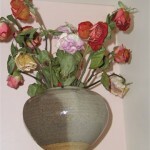 But, as a very general statement, “prune roses when the forsythia blooms”. The hard pruning of old and damaged canes, crossed canes and removal of suckers should take place before new growth begins — and the threat of frost has passed. 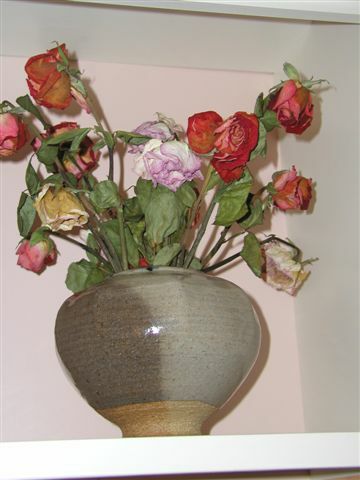 Dead-heading of old blooms can take place during the entire bloom cycle. And don’t forget to clip a few for inside enjoyment. If you still have moderate weather with warm days and cool nights, go ahead and add seed to your lawn to fill in bare areas. Look for a seed suitable for your area — sun or shade or mixed. Some seed packages also are indicated for fall. It is best to seed when it’s not windy. Clear area to expose soil. Apply one half of the total seed mixture in one direction. And the remaining amount at right angles. After seeding, rake the lawn area (light touch with the rake) to mix the seed into the top level of soil. Keep the surface soil moist. Sprinkle with water set at a low level to keep seeds in place until the seedlings start to grow. 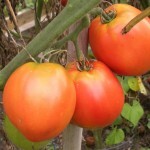 And then keep watered on a regular basis if no rain in forecast. 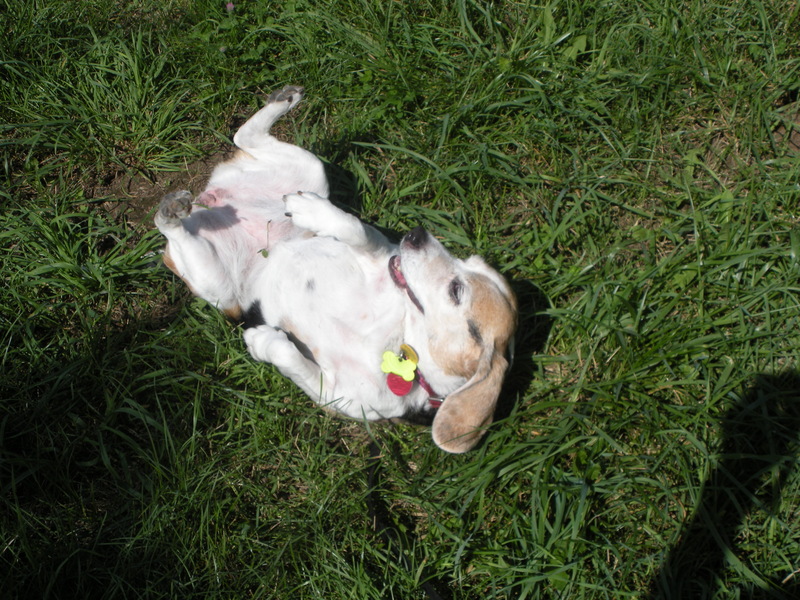 If all works out — you’ll have more grass to mow next spring! With heavy rain and wind on its way this weekend, if you live in the storm’s path, here are some landscaping precautions. It is expected the winds and rain will be coming from the northeast. So, trees and sections of your yard in this direction will be at the highest risk. Clear drains with garden hose to remove any soil or debris that may have built up over the summer. Place bags of mulch, top soil or other bagged material around vulnerable window wells — to direct water away from the house. Place light weight outdoor furniture, garden art and umbrellas inside. Pull other furniture and the outdoor grill near the house and under roof overhang. My mom always put pots filled with water on the counter. It seemed to make us all feel better. Have a safe weekend. 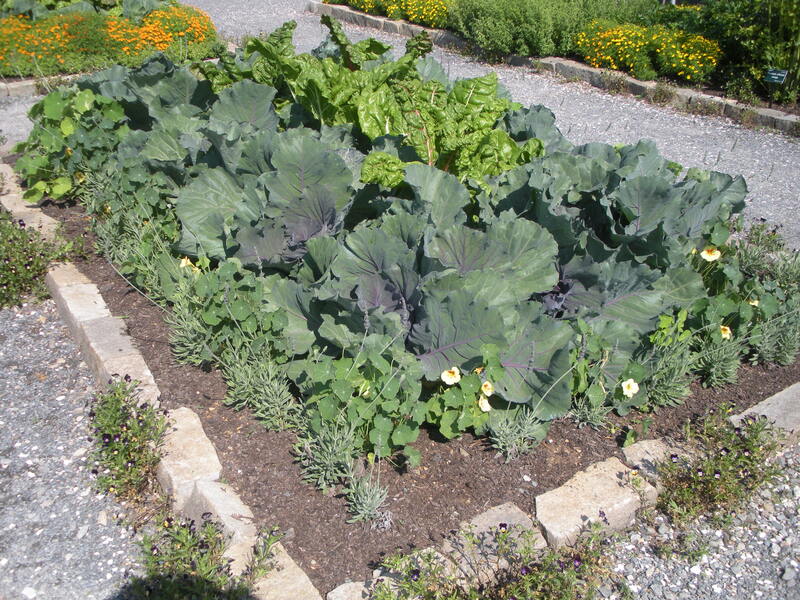 Posted by DVD | Filed Under Garden Clips | Comments Off on Did Recent Virginia Earthquake Help Break Up the Soil? What a combination of greens. 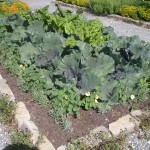 I wish my vegetable garden looked so good. 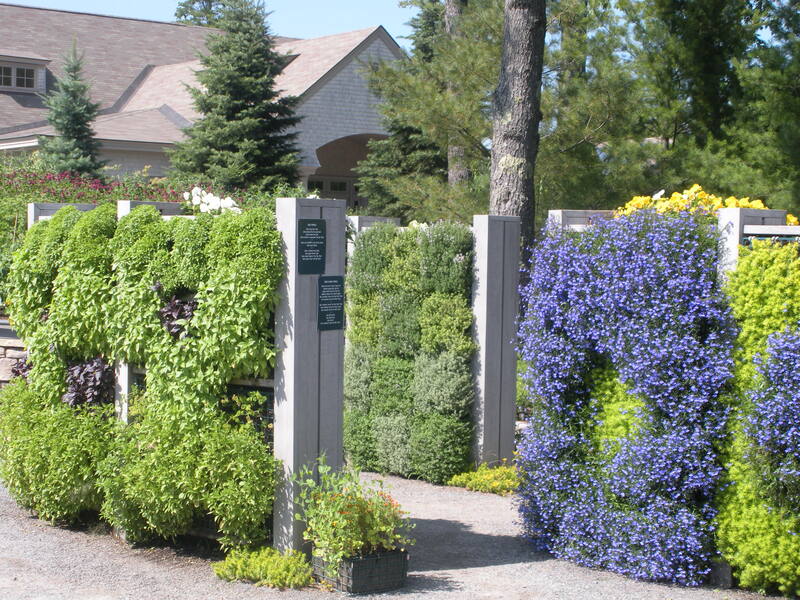 I saw this vertical herb garden at the Coastal Maine Botanical Garden in Boothbay, Maine a few days ago. 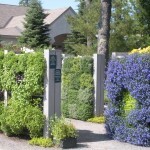 (www.MaineGardens.org). Don’t you love it! Could be used as privacy screen, to add scent to a outdoor patio area — an no more bending over to snip what you need for your favorite recipe. The gardens are not to be missed. A whimsical children’s garden, a rose and perennial garden, a kitchen garden, amazing sculptures, a garden of the senses and more. Plus, a fine cafe for a cool drink. 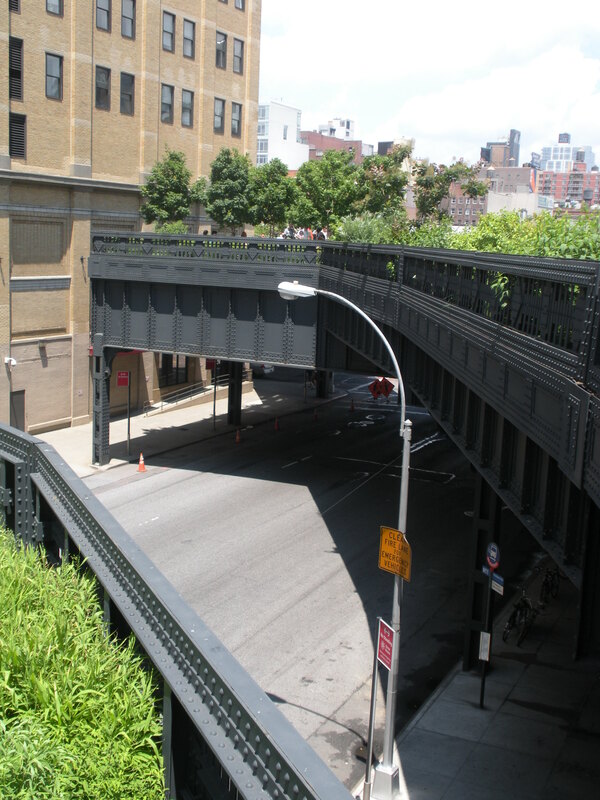 The NYC 1930’s rail transport line was saved from the wrecking ball and reinvented as the High Line Garden. The garden design was inspired by the native plants that once grew on the old line before it was transformed. Many people worked together to revitalize this public space. The details of removing toxins from the old tracks, installing proper irrigation, selecting plants that could survive without deep soil conditions were some of the challenges they faced. 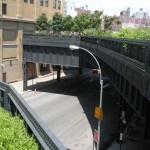 The first section opened in June 2009 (Gansevoort St to W. 30th St, NYC, NY). The High Line offers a garden stroll 30′ above the ground passing lawn areas, trees, butterfly gardens, sculpture and benches. Plus, terrific views of the neighborhood. When it comes to watering and making sure your grass gets just enough H2O — water deeply and infrequently. This approach enables the grass to develop deep roots to make it stronger. And therefore, it’s not as affected by temporary drought conditions. 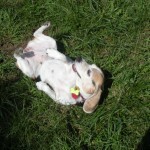 I suggest using a sprinkler the shoots water horizontally across the lawn area. While you are out there, go ahead, run through it a few times. It feels so good! My lunch at the Blue Duck Tavern (blueducktavern.com) filled my senses. 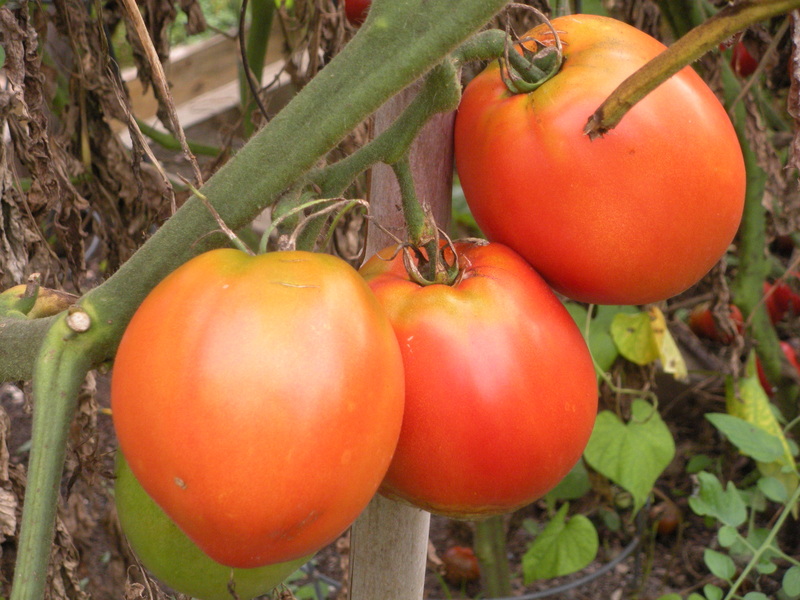 While sitting at an outside cafe in the middle of busy Washington, D. C. , I dined surrounded by a lovely potager. Growing willfully before the summer heat takes it’s toll: sage, tomatoes, fennel. strawberries, rosemary and more. My waiter says the kitchen garden was planted by the chef and staff. And it’s enough to last one day for the busy hotel restaurant. If herbs aren’t your thing, take in the gorgeous shrubs and trees surrounding the sunken garden while you sip a cool drink.